Defex has been designed and developed by DCODE GROUP. We work with a number of clients in the building industry and identified a lack of simple, task-based project management solutions that tied a task/defect to a floor plan. As custom software developers, we thought there was a better way. Use of the system was dependent on an App/installed software. So taking this feedback, we developed Defex. Defex was developed to be a simple system. While it includes a number of intuitive features and tools to assist advanced users; the core of the system is to add a task and then record that the task has been completed. This allows you to complete on-site inspections; allocate tasks to your contractors; and then mark tasks as complete. 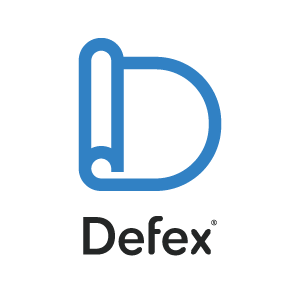 Defex is designed to work as a stand-alone platform. You don't need to install any software and can access it at any time from any device (mobile, tablet and desktop). Your business, like many others, is bound to have its own way of managing defects/tasks; Defex simply provides a better way to do this that using Excel Spreadsheets without requiring you to adopt OUR methodology for managing defects. The system is sound enough to provide solid reporting; yet simple enough to allow you to adopt the solution in your own way - free to continue to use your other software and tools. All our projects come with integrated floor plans. Use an image, photo or PDF to capture the floor plan; then allocate tasks to the floor plan at any time. They say that a picture speaks a thousand words; and in building, knowing WHERE an issue is using markers on a map can be more beneficial that trying to define it using words in a task list. We've worked hard to ensure Defex works in all browsers (current) and across different devices. Use your mobile phone to capture and assign tasks. Your tablet can become your main inspection tool. Then back at your desk, use your computer to add clarity and precision to your task lists/annotations. How many times have you pondered new software only to be confused by their pricing ... $x per user/month for a-b users y number of sheets with $z extra for bundles of sheets ... I could go on. Our aim was to keep things simple - the software; the solution; and the pricing. So we're working off a simple pricing plan - a cost per team per month which includes 5 projects. You can then purchase extra projects for an additional cost. But for that you get unlimited users, unlimited contractors and unlimited attachments/images/plans/tasks/etc. Our introductory pricing is $50AUD/team/month with each additional project charged at $10AUD/month. We think this is simple enough and (with a 30 day trial) more than enough reason to try Defex now.